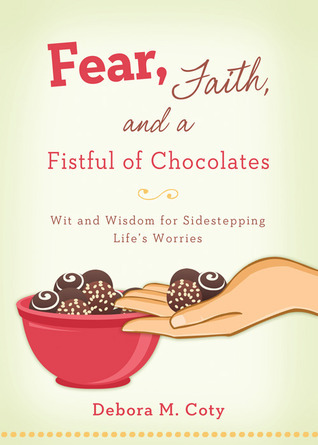 Fear, Faith, and a Fistful of Chocolate: Wit and Wisdom for Sidestepping Life's Worries by Debora Coty is a delightful read. I have never read anything by Debora before and her sense of humor is so fun as she talks about life topics. There are many different chapters that span from jealously, depression, death, aging, money, health, and relationships. Debora covers it all in short chapters that start with a real life story, helpful advice, verses that relate to the topic, and then bullet points of what you can do to actually make a change. This is a small read that I didn't want to read all at one time, but about one or two chapters a day. I will probably go back and read different topics over again. I highly recommend to anyone who needs a little pick me up every once in awhile. "I received this book for free from Litfuse Publicity in exchange for a review." Oh yay, I love "hearing" that! : ) There are so many, I keep discovering more myself. I just added a bunch to the "Publishers I reveiw for" tab too. Thanks for reading!